Right around this time last month, we learned that Final Fantasy III might be coming to iOS by way of a scanned image from Japanese gaming magazine V-Jump, and the very next day it was confirmed by a tweet on Square Enix’s Twitter account. Next we wondered which version of Final Fantasy III it would be, and this was also quickly discovered to be an enhanced remake of the 2006 Nintendo DS title, which itself was a remake of the original Japanese Famicom (NES) game from 1990. Following along? Good, because it gets even more confusing. Most Americans fondly remember playing Final Fantasy III on their Super Nintendo, but due to Square skipping several Final Fantasy releases outside of Japan, what we know as Final Fantasy III on Super NIntendo is actually Final Fantasy VI chronologically. 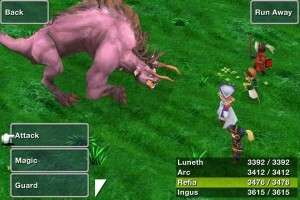 The 2006 DS remake marked the first time the true Final Fantasy III had been officially released in North America, and now an enhanced version of this game is available for download on the App Store. Whew! Despite all the confusing backstory, Final Fantasy III is a highly regarded entry in the series. This new iOS version takes the 3D graphics from the DS and enhances them both with higher quality textures and support for Retina Displays. It doesn’t quite look as visually impressive as some games that have been built from the ground up for the power of iOS devices, but it looks far and away better than the DS version and the reworked controls for the touch screen work extremely well. A touch anywhere virtual analog stick handles character movement, and practically everything in the game from the menus to the battles themselves is tap friendly. 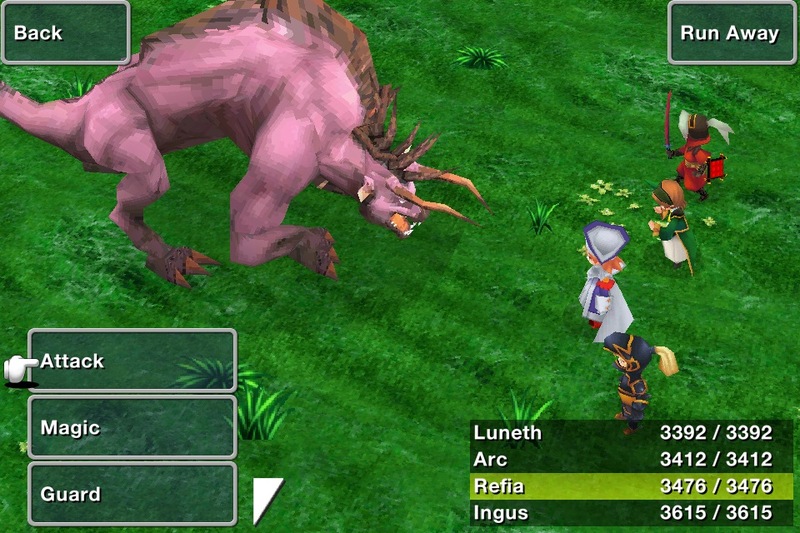 The big feature from this Final Fantasy that set it apart from most other RPGs at the time is the job system. You control a party of 4 members and have the ability to switch up each of their jobs, or classes, at any time. More than 20 jobs become available as you progress in the game, and each job will level up independently from the character itself, adding an interesting layer of strategy and variation to the combat. Also your character’s appearance changes with the job you choose for them, and part of the fun is decking out your party with new digs, of which there are many different combinations. 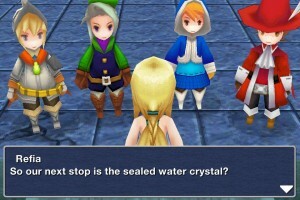 Apart from the job system and shiny new graphics, Final Fantasy III is a fairly typical RPG. Not that this is a bad thing, as Square is a master of this genre, but it’s important to note that much of the gameplay retains the shortcomings of a game that was designed over 20 years ago. The story is the typical tale of a ragtag group of youngsters out to save the world from certain doom, but at the time of the original game it was pretty epic. Now it’s fairly cliché and largely forgettable, but not terrible. Random battle encounters are abundant, and cannot be turned off. This is fine since there are points in the game where grinding is necessary, but it does really slow down the pace of the game. Battles take place in true turn-based fashion, meaning you will preselect the actions of your characters and then watch them play out in front of you, followed by the actions of your enemies. It’s fun and very tactical, but again the whole process is slow and prevents the game from flowing well. It would be handy to be able to skip through some of the battle animations or the victory sequences if you wanted to, since battling is so frequent that these extra bits grow tiresome during the course of the game. Another thing to consider is that Final Fantasy III is a brutally difficult game. You can save to a save slot when in the world map, which can be loaded at any time, or use a quick save while in dungeons which can’t be loaded repeatedly and only serves to continue one time right from where you left off. So should you die at a boss after making it all the way through a dungeon, your only option is to load from your save slot and start the dungeon over from the beginning. This sort of save system isn’t as friendly as some more modern games, but it’s how games were back in the day and it does prevent people cheesing the system and saving right before a particularly hard part. It’s also worth pointing out that your exact state is saved upon exiting the game or receiving a call or text, which is an incredibly important feature to have in a game like this. 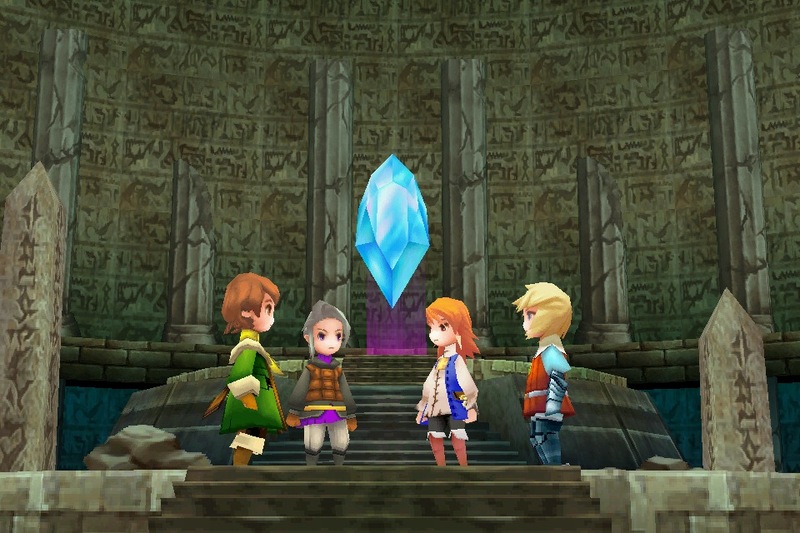 It might sound like I’m being pretty negative, but the truth is that I like Final Fantasy III a whole lot, as do many players in our forums, and the iOS version is definitely the premiere edition of the game. More than anything, I point out these shortcomings just so you’re fully aware of what you’re getting into. 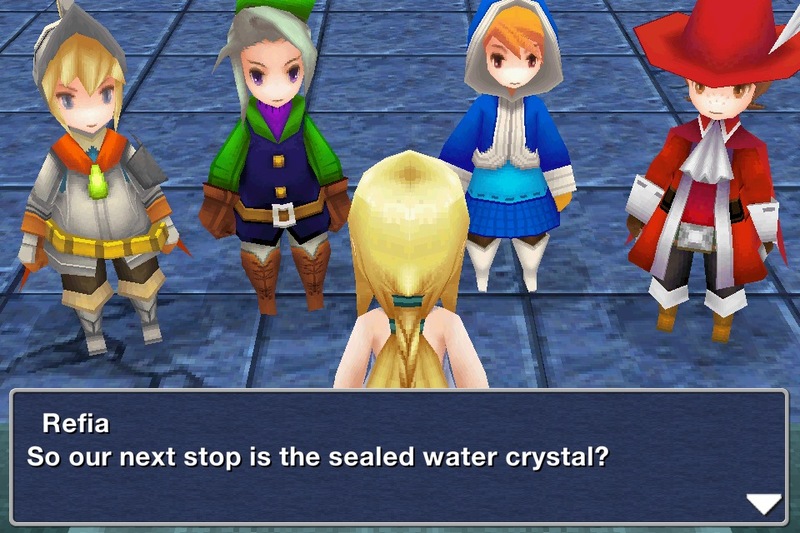 If you’re prepared to deal with some of the old-school RPG trappings contained in Final Fantasy III, then you’ll likely find it one of the best role-playing experiences in the App Store. But if you’re mostly used to newer RPGs and the advancements that have come with them over the years, then Final Fantasy III may be too retro for your taste.